Virtual reality (VR) and 3D printing are gradually entering the mainstream consciousness. People no longer associate these new technologies with Star Trek episodes, and it is a matter of time before we will take them for granted in our everyday lives. These emerging technologies – currently in their relative infancy – have the capacity to transform medicine for the better. 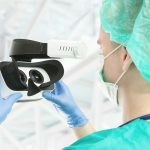 VR simulations for medical training is a rapidly growing market. And it is not just training where VR is making waves. This non-invasive technology is showing promise in the field of stroke rehabilitation. Another emerging technology is 3D printing. This technology is causing much excitement, and holds great potential to revolutionise cardiology, if not medicine in general. “We still obtain a lot of information based on 2D images, but it is time to open the door for 3D imaging and 3D printing,” he says. This means that implants and devices can be totally bespoke to the patient, allowing for more personalised patient care. The future is indeed looking bright with these new emerging technologies.